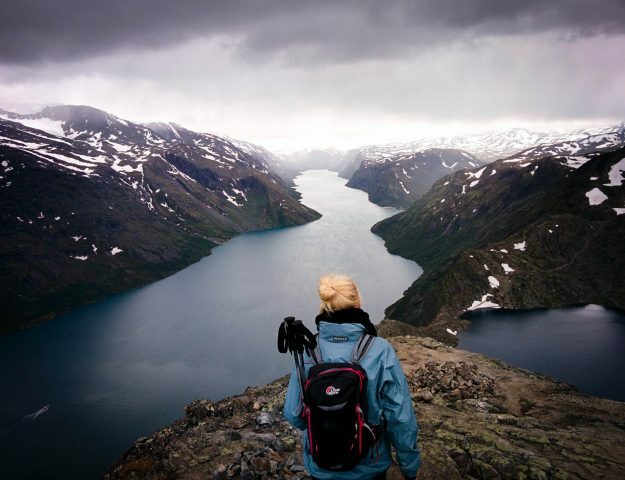 Trollstigen is the final point of one of the 18 National Tourist Routes (Nasjonale Turistveger) of Norway: Geiranger – Trollstigen. This steep mountain pass full of hair pins is world famous and gets hundreds of thousands of visits per year by road trip lovers from all over the world. 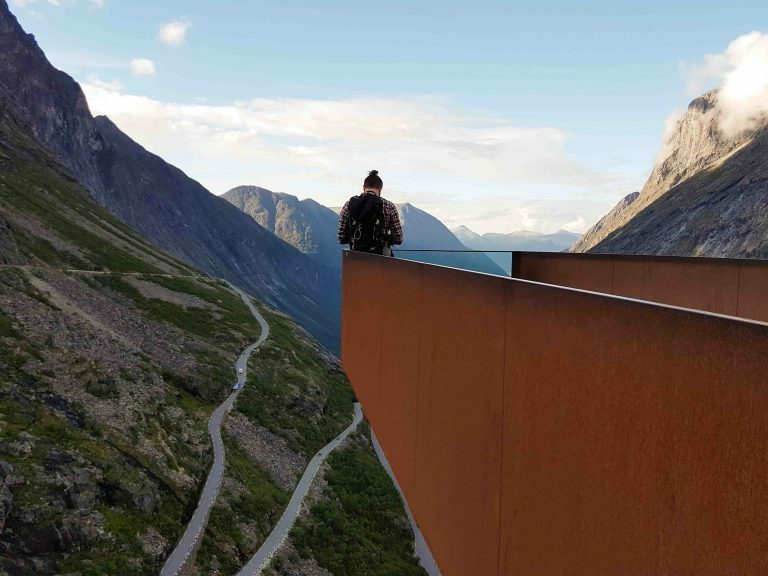 Trollstigen literally means ‘ladder for a troll’ or ‘Troll’s ladder’. Back in the days Trollstigen was a dangerous mountain pass that shephards took to bring their sheep to the mountain top. On July 31st 1936 it became an asphalted road and today it’s one of the most famous roads in the world. It’s been named in endless ‘top 10 roadtrip’ lists, from National Geographic to The Guardian. And for a good reason, because this twisting and turning mountain pass full of hairpins meanders her way up a 9% slope, passing the mindblowing Stigfossen waterfall and finishing up with a beautiful view over Isterdalen valley. 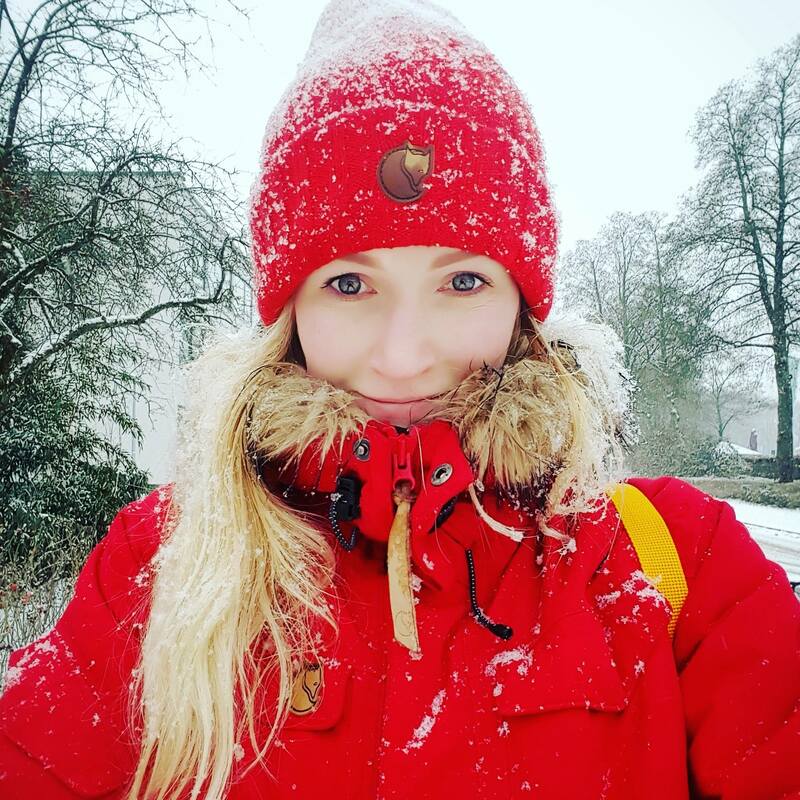 How to get to Trollstigen? 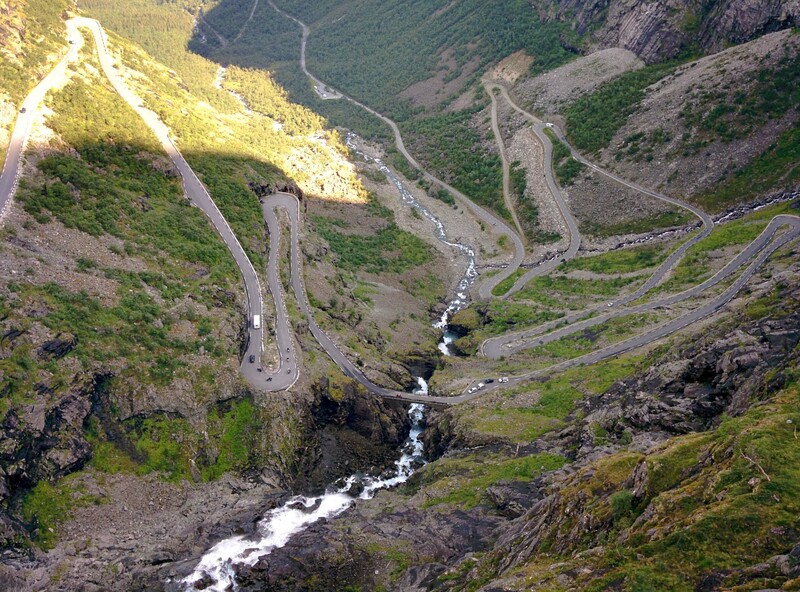 Coming from Geiranger, you’ll pass the dramatic road called Ørnevegen (104 kilometer, 1038 meter above sea level) first. Keep following route 63 through Eidsdal and then cross Storfjord with the ferry towards a little town called Valldal. 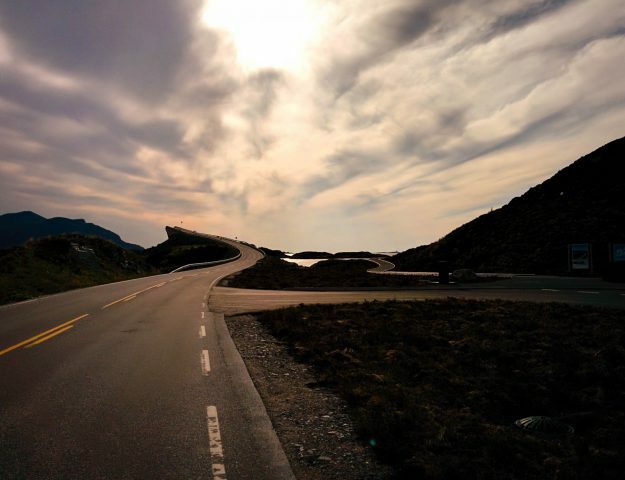 From this point on you’ll slowly start climbing towards the top of Trollstigen. Make sure to stop at Gudbrandsjuvet on your way there. It’ll be worth it, I promise. Coming from Åndalsnes, all you have to do is just follow the brown signs with the image of a big knot saying ‘Trollstigen’. You can’t miss it! 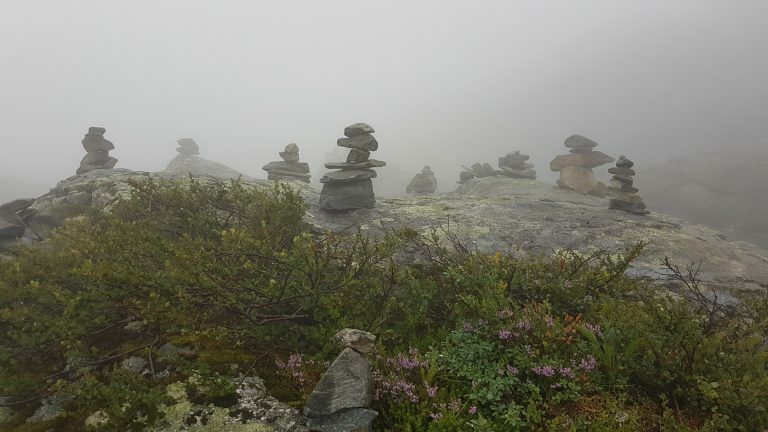 At the top of Trollstigen you’ll find a viewing point called Trollstigheim. When you get out on this breathtaking platform, you will get weak in the knees. But on a clear day you will also get a mindblowing view at Isterdalen (valley) and her mountain tops, Trollstigen (the road) with all of her hairpins and the splashing Stigfossen (the waterfall). Because Trollstigheim is 700 meters high, you cannot see a thing when it’s clouded. 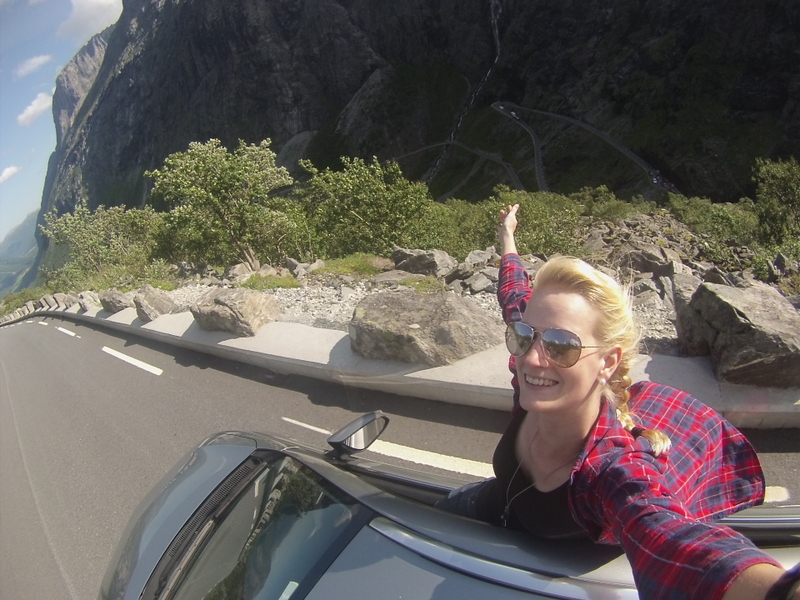 The very first time we drove up Trollstigen, that was the case for us. Last year we went up there five times and three of those were to cloudy to see. So it’s always a gamble! Next to the viewing point is a parking lot and a little cafe with the possibility to have a cup of coffee and a slice of cake. 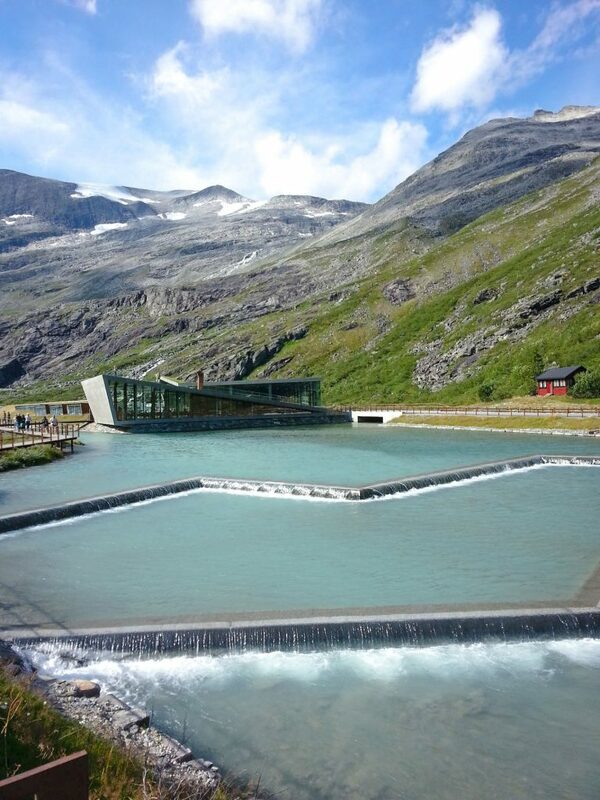 The so called Trollstigen Visitor Centre is quite new and opened up in 2012. The building has been designed by Reiulf Ramstad Architects and inside you can also find pictures of the building process of Trollstigen. The building has been designed to compliment its surroundings. That worked out pretty well, didn’t it? But the real literal en figurative high is the actual viewing point. As soon as you’ll startin walking onto the rusty colored bridges towards the edge, you’ll fall silent. I think I’ve been out on the tip more than ten times now, but I just can’t get enough. 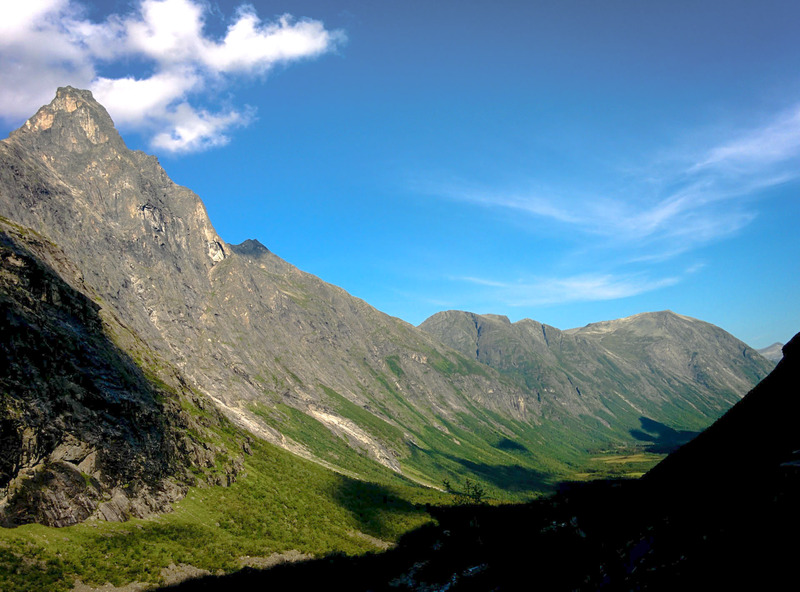 The view is absolutely one of a kind and Trollstigen will always be one of my favorite bits of Norway. 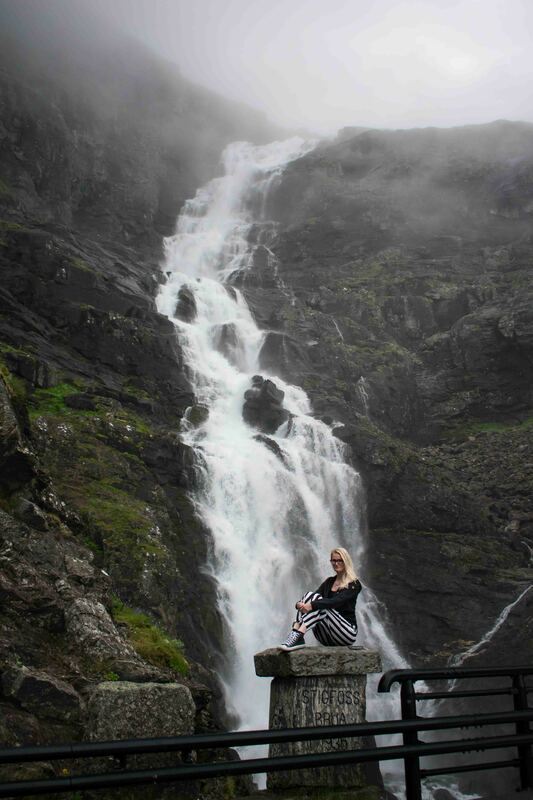 Are you in bad luck and visiting Trollstigen on a cloudy day? 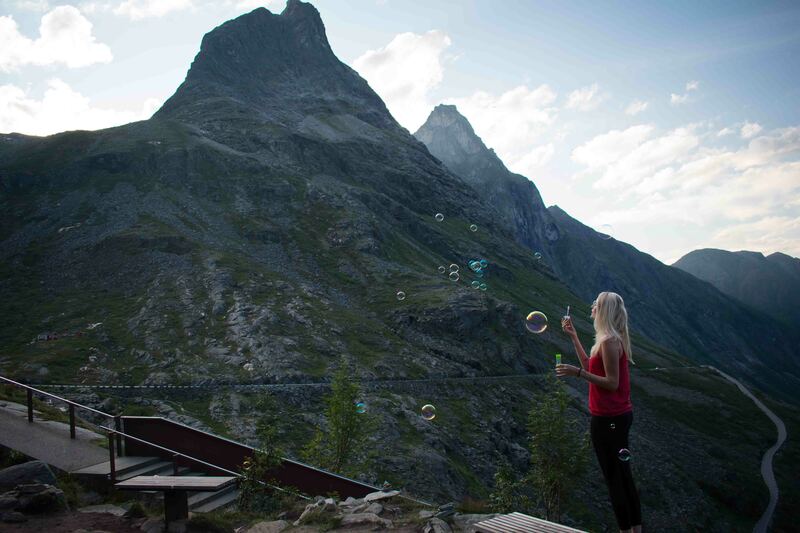 How about spending the night at Trollstigen Camping in the valley and trying again tomorrow? It’s exactly what we did the first year and it was so worth it after all. We came back again the year after, because we enjoyed our little cabin so much. There’s a huge souvenir shop at the camp site as well, so make sure you pay a visit. Even if you’re not planning on spending the night. The three ginormous (enormous or gigantic don’t do them justice) mountain tops you’ll see rising from the valley (or from the clouds) carry fitting names. From big to small you’re looking at Kongen (King) – 1593 meter, Dronninga (Queen) – 1568 meter and Bispen (Bishop) – 1475 meter. Kongen and Dronninga are a part of the seven peaks you have to climb to gain the title of Mountain King/Queen in Romsdalen! You have to have some climbing experience to climb them though. 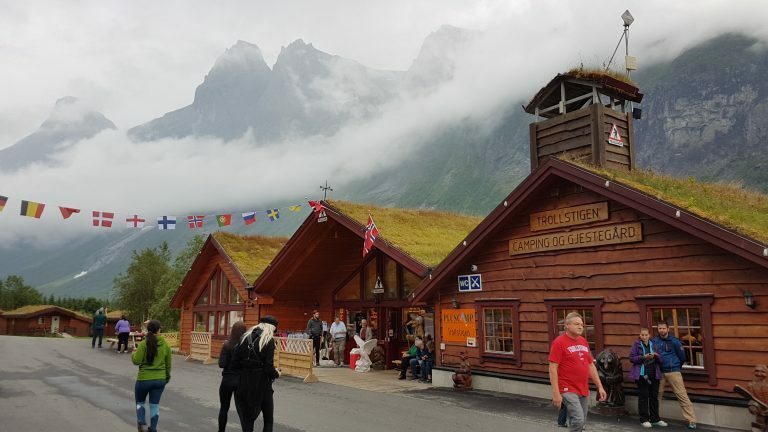 Because Trollstigen is pretty famous and loads of people visit it each year, I recommend you leave early. This way you can be ahead of the crowds and tour busses filled with people. 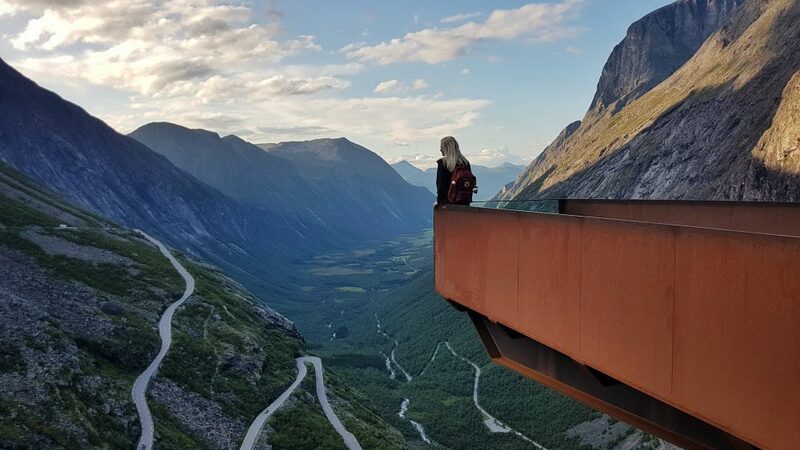 You’ll be able to enjoy the view from the top, but it’s also way safer to drive up (or down) when there’s not tons of busses, camper vans or motorcycles around. The road closes for winter between October and May and sometimes when it’s been raining too much, so make sure you always check if it’s open before you plan on going. All in all, when the weather is perfect, it’s the coolest thing in the world to open your windows, crank up the volume of your car radio and jst DRIVE! And do it again. And maybe again.